Part of Hospes las Casas del Rey de Baeza Hotel the Azahar Restaurant offers a great gastronomic experiences serving up traditional Andalusian dishes with a modern twist. Located on the ground floor of this chic boutique hotel located, in a tastefully decorated and intimate dining area, the Azahar Restaurant is a wonderful surprise. The decor is bright and airy, the staff helpful and the menu impressive. Given the fairly small dining space, Azahar manages to create a cosy and intimate dining experience in the 13th-century building which is a magnificent example of Sevillian architecture. The wooden decorations, woven needle grass and the special light that reaches the diners from the courtyard through large glass window add to the ambience. The furniture is tasteful and the chairs are incredibly soft and comfortable and the tables have a chic and rustic look which adds to the Andalusian feel. Chef Rafael Cantizano has created an impressive menu including the delicious traditional Spanish starters including Sevillian Oliver Salad with tuna tartar, mushroom croquettes with truffles and Iberian acorn ham to name a few. For main course, there is a wonderful selection of both fish and meat. 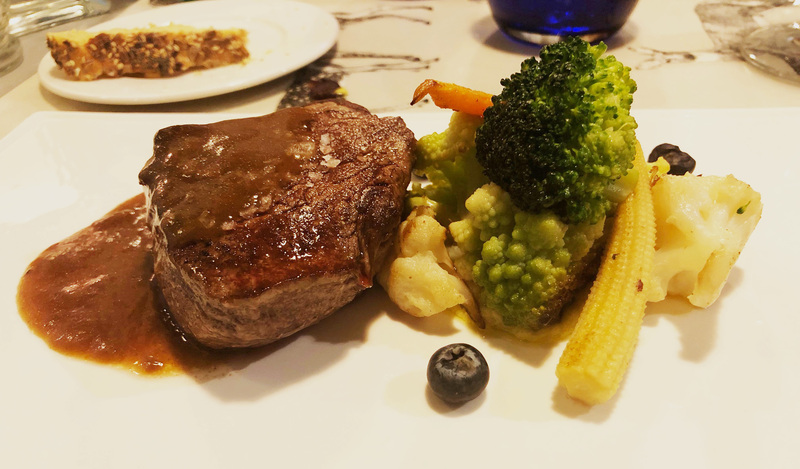 The hake served with smashed potatoes and mussel sauce is divine as well as the beef sirloin with vegetables. For pudding, the cherry tiramisu is highly recommended together with the pear tartin served with ice-cream. 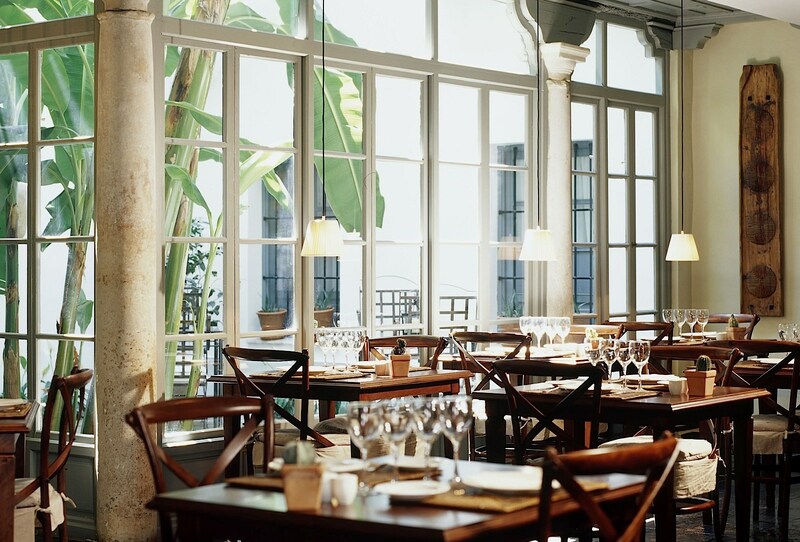 This restaurant is the perfect scene for a relaxed yet culinary luxury experience in the heart of Seville.